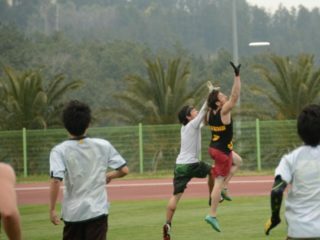 Today, the World Flying Disc Federation announced the latest rule changes for 2013, marking the first rule change in four years. The 2009 version of the rules will continue to be used in WFDF play until January 1, 2013, when the new rules will go into effect. 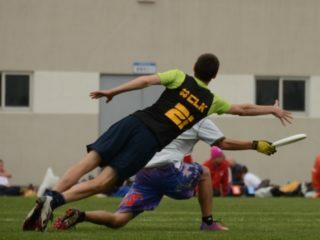 The new rules contain some interesting changes intended to bring the WFDF rules more in line with the USAU rules, facilitate better self-refereeing, and allow play to flow more smoothly. 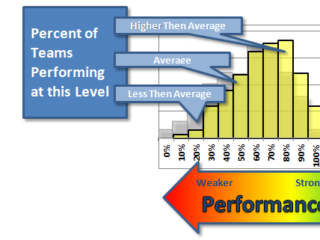 This is a welcome change to bring the stall count more in line with USAU rules. In my experience, most players were not aware of the pause after “Stalling” in the old rules and persisted in starting the count immediately saying “Stalling”. This should bring the rules in line with contemporary gameplay. Regardless of when a call is made, if the players involved from both teams agree that the foul, violation, or call did not affect the outcome, the play stands. e.g. : The thrower attempts a pass just after a Pick is called. The receiver drops the pass. The Pick call did not affect the receiver’s attempt to catch the pass (i.e. they didn’t slow down when they heard the pick call) there fore the turnover stands. Play must restart with a check. This is a huge change to the continuation rules, making them very similar to USAU rules. 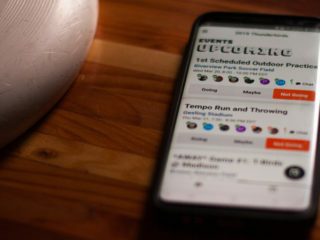 Previously, players were able to use calls as “get out of jail free” cards, as any incomplete passes after a call would simply return to the thrower. Under the new rules, any calls that do not affect the outcome of a play will cause the play to stand, meaning that throwers will have to show more restraint when they hear a call. This is a very logical change to what, quite frankly, was a very head-scratching rule. In the 2009 version of the rules, any opposing player was technically able to call infractions like “Fast Count” or “Straddle”, even if they had little to no perspective to see the infraction being committed. The 2013 version of the rules allows only throwers to call these infractions. If a player is delaying play unnecessarily, a verbal warning must first be given (“Delay of Game”) and then the player must be given a chance to start play. 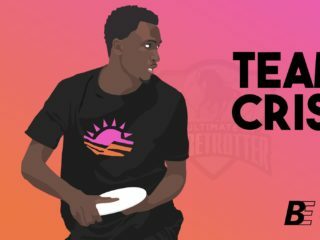 If they do not, the opponent may check the disc in without consent (after a stoppage) or start the stall count before a pivot is established (after a turnover). Although serious delay of game situations rarely happen, the fact that the earlier versions of the WFDF rules did not contain any penalties for delaying the game was a bit unsettling. Under the old rules, there were no repercussions for intentional game delays, something that could have given way to abuse for teams nearing a time cap. It is comforting to know that there are now consequences in writing should any player or team knowingly or unknowingly delay the game. After an uncontested breach by the defense the stall count is reset to one (1). After a contested stall-out the stall count restarts at maximum eight (8). After all other calls the stall count restarts at maximum six (6). After a turnover, if the player in possession places the disc on the ground, or intentionally drops the disc, it is no longer a ‘Double Turnover’. Instead the player must re-establish possession. We’ve all suffered that inevitable mental lapse where we’ve made a great D, caught the disc, and then gingerly placed the disc on the ground for our favorite handler to pick up. Under the new rules, this will rightly no longer be a turnover. Overall, the rule changes are logical and straightforward and should be welcomed not only by players accustomed to the USAU rules, but also by those who have played their whole careers under WFDF rules. The first WFDF-sanctioned event to use the new rules will be the European Championships of Beach Ultimate in Calafell, Spain, June 27-30, 2013.